Subtitle: I made this episode with my brain. and we saw Emma’s Spidey Senses kick in! It’s EXACTLY what I asked for! Regina and Robin and Marian and Roland and Some Merry Men. 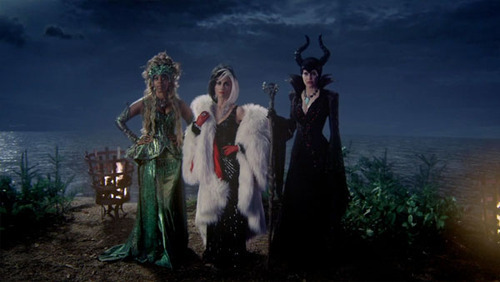 Regina is sad because whenever she does the right thing she ends up alone. But Marian pops in to say she’s no dunce, Robin’s love for Regina burns brighter than his love for her, and she doesn’t want to be settled for because she has actual self-respect. 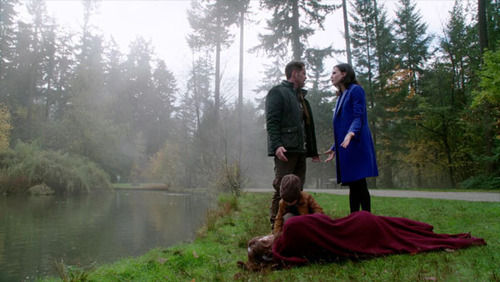 Regina tells Robin it’s gonna be OK. Harder than if she’d stayed dead but Dumbledore says that’s how they know it’s right. 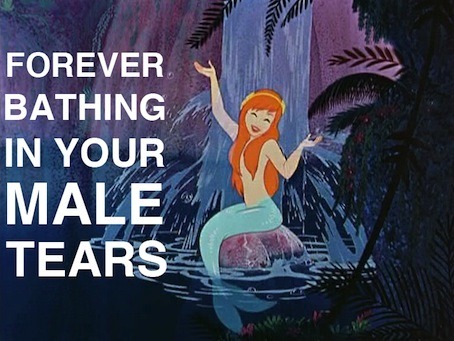 Also, and I need to stress this: Marian alive is better than Marian dead. Better for Marian, better for Roland, better for the story. Protect Maid Marian 2k15. But, of course, they’re not allowed to be grown ups about this and portray a civil divorce and custody arrangement put together with love and respect that not only recasts a literal evil stepmother as a good stepmother and a woman best known for being fought over by men and then dying as an independent single mother but also gives divorced mothers, fathers, and children a place in the land of fairy tale families. 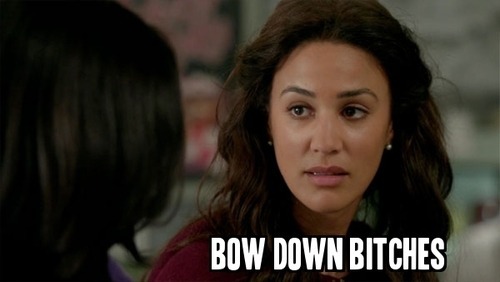 No, instead Marian falls over AGAIN. And the only way to cure her is to send her over the town line. And Roland must go with her. So Robin must go with her. 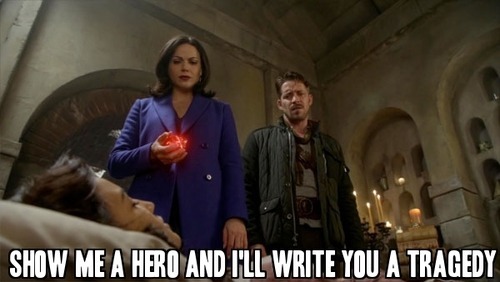 And Regina can’t leave Henry even if she did want to go, too. 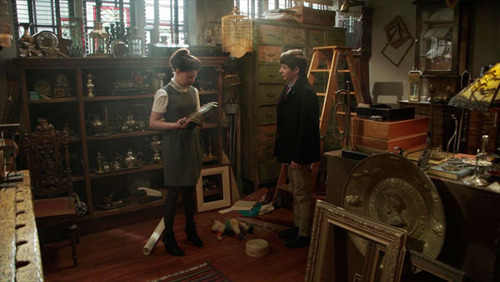 Anna: Please thank Mr. Gold for me, he seems nice. 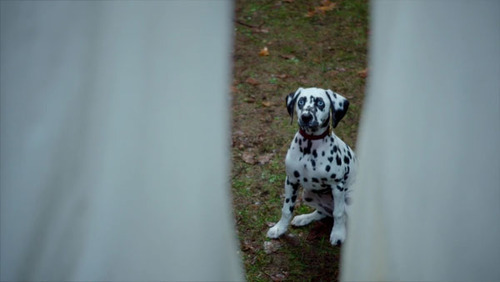 Anna: Who is he in the Enchanted Forest? A kind old man? Anna: WHAT? He is a lying liar who lies! Everything he says is a lie! Why would any of you trust anything he ever says? Don’t trust anything he ever says! Anna is my favourite! But the portal to Arendelle is real so the Frozen folks are home. 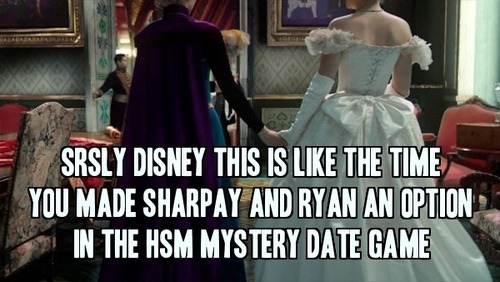 Then Anna and Elsa get married. The alternate subtitle for this episode is “Belle’s adorably expressive face”. 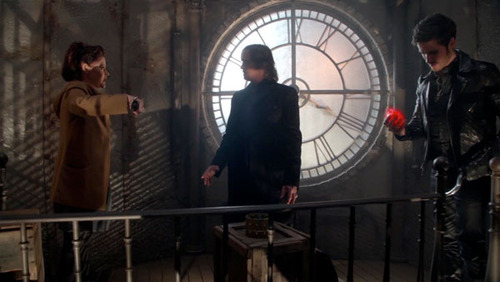 Her glee when Rumple surprises her with honeymoon plans. Her joyful admonishment when puppy faced Henry calls her Grandma. 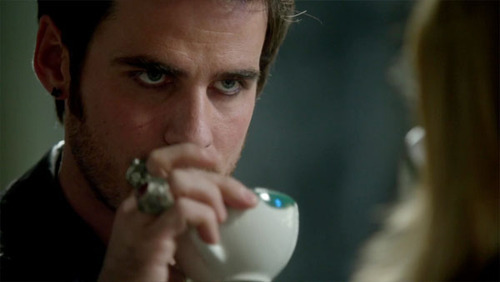 Rumple explicitly manipulates Hook, Emma, Anna, Elsa, and Kristoff and emotionally manipulates Regina and Belle (and arguably Hook and Emma who kiss while Hook is under his direct control, ew). But Belle, finally, realizes it and fights back. 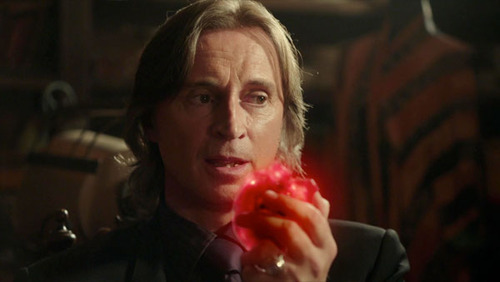 and forces Rumple to leave Storybrooke. 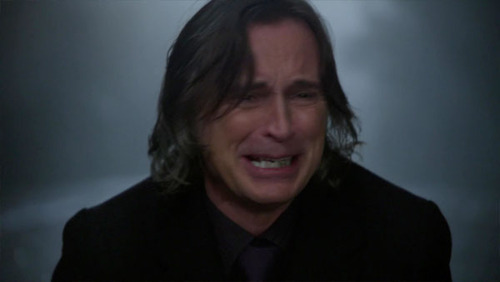 He loses his dagger, his magic, his wife, his home, everything. It’s glorious. I am so, so, so proud of Belle. Regina is sad because whenever she does the right thing she ends up alone. But Emma pops in to say, I totally get it, let’s do shots. Then Henry shows up to ruin everything. 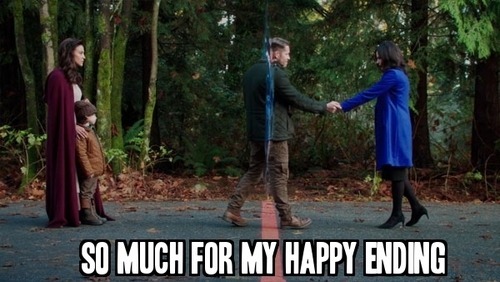 Only not really because he found a room full of blank storybooks and Operation: Mongoose is back on and Emma joins up because she promised Regina a happy ending and also hates being left out of adventures and they are the Best Family Ever.